McKeen's Hockey Online provides an in-depth database of players at all levels of their career. 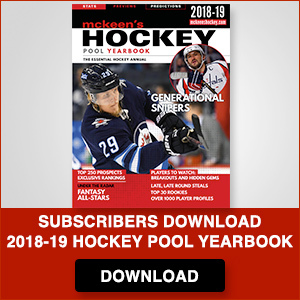 It includes digital magazines for download and is updated with NHL fantasy predictions right up until the start of the season. 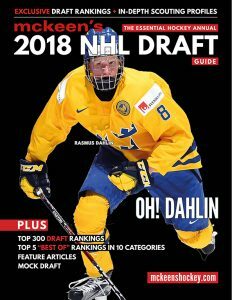 Our prospect scouting and coverage starts early with our editorial for our annual draft guide and we follow them through to the NHL. You can learn more here: McKeen's Online.